Reading and share top 1 Cihan famous quotes and sayings. 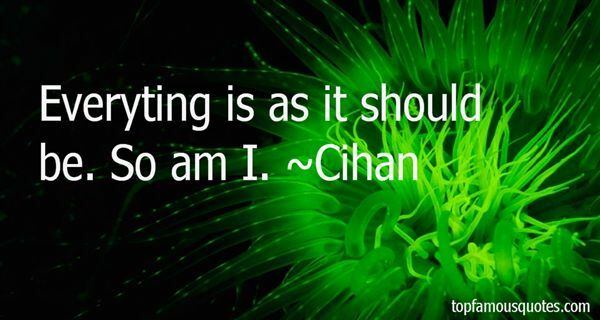 Browse top 1 most favorite famous quotes and sayings by Cihan. Later, I started to understand just why these children ‘hated' us other children. I understood that they did not, in fact, hate ‘us', but hated the fact that we were German and spoke in a language that they associated with pain, fear and the loss of their parents, uncles, grandfathers and grandmothers, their whole families, in fact. Once I understood this it affected me in all sorts of subconscious ways, ways that were to blight my life for many years and make me deny my German birth."